Home » Featured » Where’s YOUR Happily Ever After? The divorce rate in the USA stands at 53% at the beginning of 2019… meaning lots of misery, emotional turmoil, and legal bills for millions of people. To understand why all you need to do is believe that there IS a Marriage Continuum… and that you are ALWAYS on it. Good marriages can sink to Struggling in the blink of an eye, while others stay in the boringly Average range for years. Some steadily move from Good to Great. Right now, there are a lot of folks who are in a TOXIC relationship and need to find a way out. Some are caught in an all-too-familiar trap, vacillating between STRUGGLING to MEDIOCRE and need to find a way up. Some couples are in a GOOD marriage and want to move up to GREAT or even EXCEPTIONAL where every day, regardless of their circumstances, they experience a tremendous amount of joy and happiness. So, how do you actually move UP the Marriage Continuum… not sink LOWER into the poisonous clutches of the toxic ooze that defines most failed marriages today? If you and your spouse want a High-Energy, Conviction-Driven Partnership that will stand the test of time, it’s time to experience Marriage With Purpose. We wrote this book out of the desire to reduce the divorce rate by 20% in the next 3 years… starting right now… by giving you the tools you need to do one simple thing: figure out exactly what you and your partner want. It might be true, but unless you have second sight, X-Ray vision, and amazing powers of observation, this is something you should NEVER take for granted. Be smart, save yourself from the needless heartbreak of a failed relationship. You owe it to yourself, your friends, your family, your kids/grandkids — everyone around you to MAKE 100% CERTAIN that you not only KNOW what you want, but truly understand WHY. 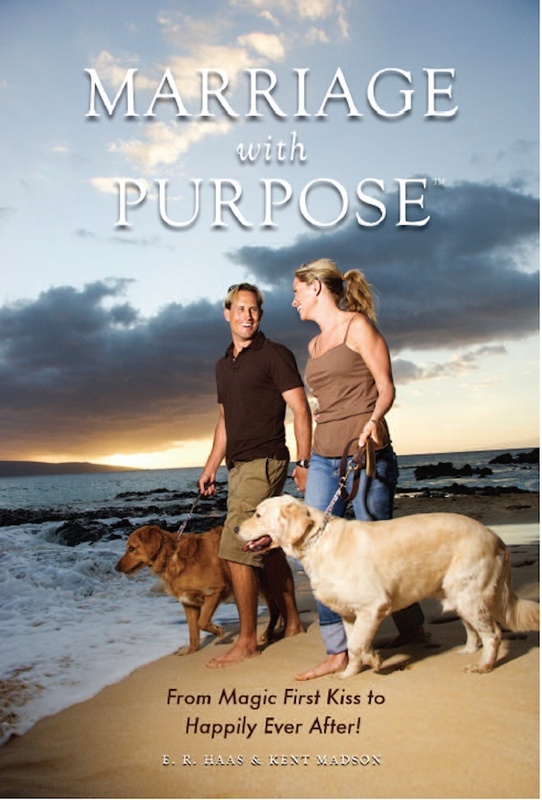 Order Marriage With Purpose now. Complete the 3 simple exercises. Take ONE FULL YEAR to prove that it is as indispensable as we say, and if not, we will gladly give you your money back. We work on the Honor System here, so no need to even send anything back… you ask, we refund. P.S. If you are a relationship coach, psychologist or marriage counselor dealing with the reality of toxic relationships, this book offers a completely different approach to helping the couples you serve.